NASA’s project goals are to investigate the technical feasibility of a unique floating algae cultivation system and prepare the way for commercial applications. 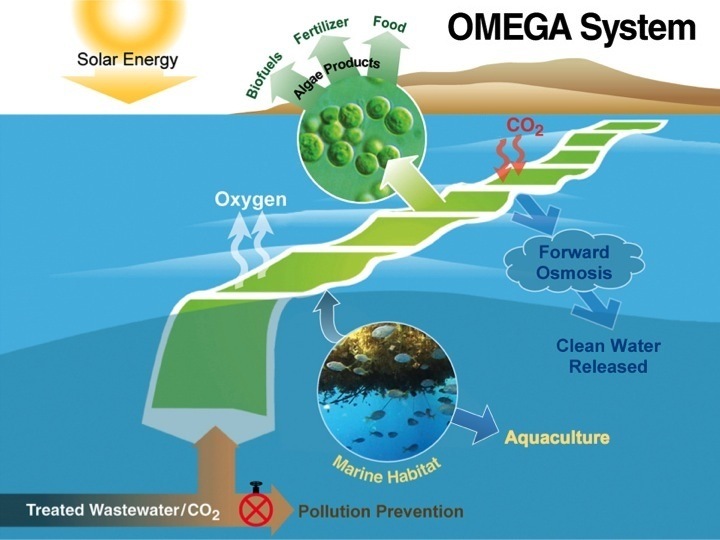 Research by scientists and engineers has demonstrated that OMEGA is an effective way to grow microalgae and treat wastewater on a small scale. NASA showcased the latest research on a method to grow algae, clean wastewater, capture carbon dioxide and ultimately produce feedstock for refining biofuels. 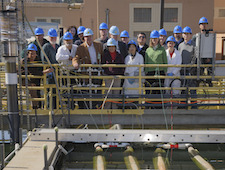 Reporters are invited to attend a one-hour guided tour of NASA’s Offshore Membrane Enclosure for Growing Algae (OMEGA) system on April 17, 2012. 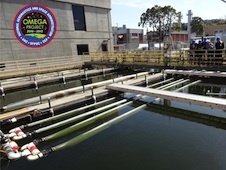 As a clean energy alternative, NASA invented an algae photo-bioreactor that grows algae in municipal wastewater to produce biofuel and a variety of other products. When astronauts go into space, their living quarters on a spaceship require careful planning and management of limited resources, which is what inspired the project called "Sustainable Energy for Spaceship Earth.". View the latest news releases, images and videos about OMEGA. TEDxSanJoseCA - Can We Cultivate Energy?